Carle Publishing is a great example of a business that made the Customer Experience they deliver their #1 competitive advantage. Carle Publishing, headquartered in Eastern Canada, competes in a specialized niched marketing industry. However, they have been experiencing incredible sales growth and Customer retention. Carle Publishing creates customized printed and digital magazines for regional and national brands looking to reach a niche target audience, as well as independent insurance agencies all over North America. “Right now, we are experiencing almost 80%+ growth year over year, and are achieving close to a 100% retention rate, largely attributed to the customer service we have learned from The DiJulius Group,” says Andy Buyting, CEO and President. Best Practices: How do you make price irrelevant in the B2B world? I strongly encourage you to read, forward, print and have a meeting with your executive team to discuss the following list of the best practices from Carle Publishing. Each one is an excellent business-to-business example. A personalized hand-written note from the CEO welcoming them into the family and offering his personal cell number should they ever need anything. A dry-fit golf shirt with their customized Magazine Masthead (logo) embroidered on the front. Introduction sheet, introducing the Client-Partners with a list of all key staff members. Some information about the company- Core Values, Mission, etc. A book on Content Marketing with favourite pages turned down and content highlighted. A bottle of locally made maple syrup – A local favourite from our part of the world (Eastern Canada). If they sign onto the Digital eZine program, they also get the equipment they need to produce high quality videos from their office – Webcam & microphone. All of this really WOWs their Customers, reassuring them that they’ve made a great choice. ***Secret Service Summit Super Saver Price Ends March 31st! A thank you letter signed by the entire team. Their customized magazine front cover, mounted on wood – signed on the back by the entire team. 10 copies of their magazines (the first samples they see). 12 Thank You Cards with their magazine covers as the front cover of the cards. We provide these to our Client-Partners to send to their advertising supporters or others who contributed toward the project. In June and in December each year, Carle Publishing sends a personalized autographed business book to each of their Customers. A thank you for helping us out. A celebration cake with the Client-Partner’s logo on it to celebrate an anniversary. A beautiful gift basket if a Client-Partner has acted as a reference a few times. A pizza party for an entire office. This “random act of recognition” is extremely well received! When a Client-Partner refers another potential customer, and that customer signs on as a Client-Partner, instead of giving a credit or a reward to the referring client, Carle Publishing makes a donation in their name to their favourite charity. This is a very tasteful way of saying thank you for their effort to make an introduction or referral. Some charities have received thousands of dollars in this fashion. These are charities that are valued by some of their best Client-Partners and advocates. To help them keep learning and getting better, last year Carle Publishing formed a Client-Partner Advisory Board. Once or twice a year, the board of Customers gathers via video conference to review new ideas and ways in which Carle can improve their products or services. This has proven to be massively effective and is valued, not only the members of the Board, but especially by the Customers. Now each quarter, a one-hour video conference is scheduled for Customers to discuss a different topic each time. The webinars are put on so that their Customers can share and learn best practices from each other on how they use products. Like many companies, Carle Publishing holds annual and quarterly planning sessions for their key team as well as shareholders. During every planning session, they invite one of their Customers to join for about 30 minutes (via video conference). The Customers are asked to give direct feedback (good and bad) about products and services while all key staff members and shareholders listen in. This always opens a great dialogue with everyone taking part and learning first-hand about things they are doing right, as well as ways that they can improve. Many of their best ideas have come from these “Customer appearances” at their planning sessions. Carle Publishing always follows up by recognizing them with a Thank You gift of some kind. What are some of the Best Practices you use at your company? Please comment at the bottom. 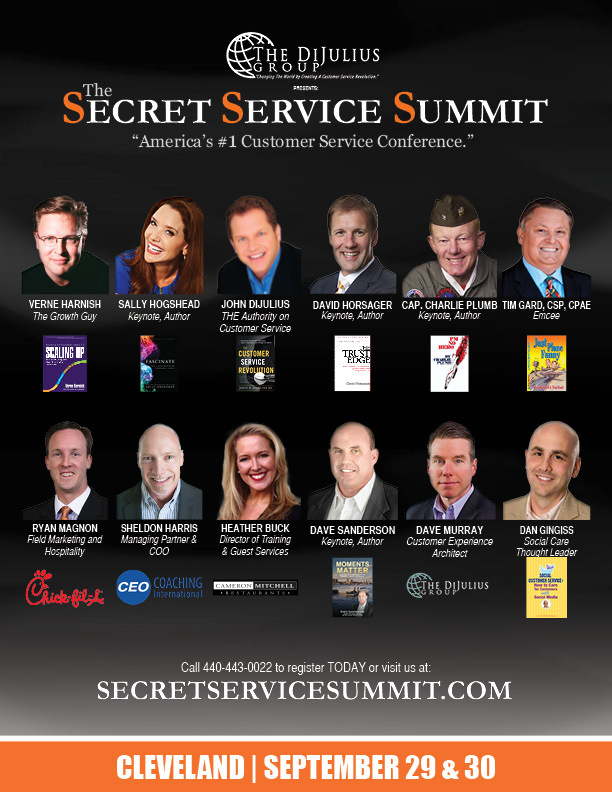 America’s #1 Customer Service Conference, the Secret Service Summit, is only 7 months away! 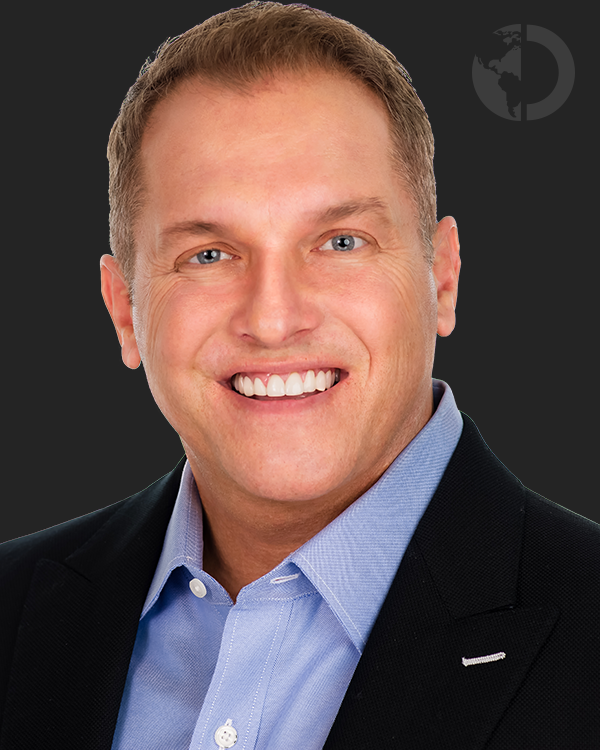 This year’s lineup of speakers is probably the strongest compilation of Customer Experience experts and executives from world-class brands; Verne Harnish, Sally Hogshead, John DiJulius, David Horsager, and Captain Charlie Plumb are some of the powerhouses taking the stage this year. Check out the full list below and don’t forget to save the date: September 29 & 30. Register here today and SAVE $600! Watch NEW Trailer!